…you’ll need to be prepared. And the alarming fact is that when it comes to cyber attacks, most companies aren’t. Technology is constantly evolving, and as former head of European Cybercrime Centre Troels Oerting says, “the computing domain is continually transforming or enhancing traditional crime.”Cyber-attacks are greatly feared by businesses today, and with good reason; they can disrupt infrastructure on a local, national and as shown by recent events, even a global scale. Companies rely upon technology more than ever and store more sensitive data than ever, from customer information and payment data to personal health files and confidential personnel information, and this always attracts the covetousness of hackers or even competing brands. We’re living in a new era of risk and accountability and with cyber attacks on the rise, every business can expect to fall victim at some point. So what happens when it’s you? Many businesses still haven’t grasped the potential gravity of the consequences of cyber-attack, or they know they should take proper precautions, but aren’t sure which ones. 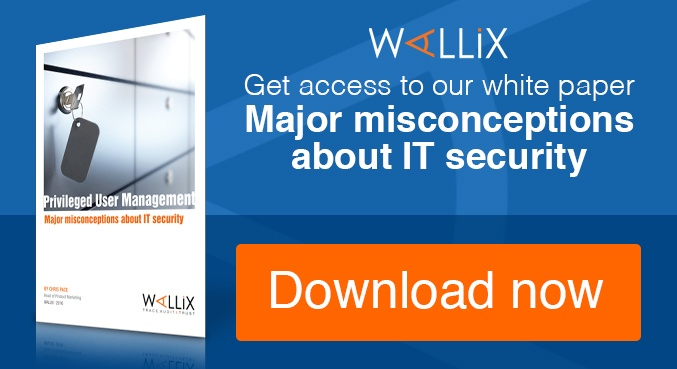 Such a security breach could ruin you, and you’d be kicking yourself if it did because it’s all so preventable – it’s why the smartest businesses are spending more money on security and investing in solutions like WALLIX’s WAB Suite to manage their every complex ecosystems. It’s about control, visibility, and being able to be rest assured in the knowledge that you’ve planned for the worst. Whether the attack is about stealing information, tapping your power, installing a virus or halting your activities; be it via a disgruntled employee, an external hacker or just human error (malware attacks, phishing emails and accidental data leaks by employees are the most common) cyber attacks happen all the time some you here about, most you don’t. Once a security breach has been exploited, hackers can take control of privileged accounts, giving themselves extended exposure to your core information. The attack may happen months or even years before you realise your admin accounts have been compromised. 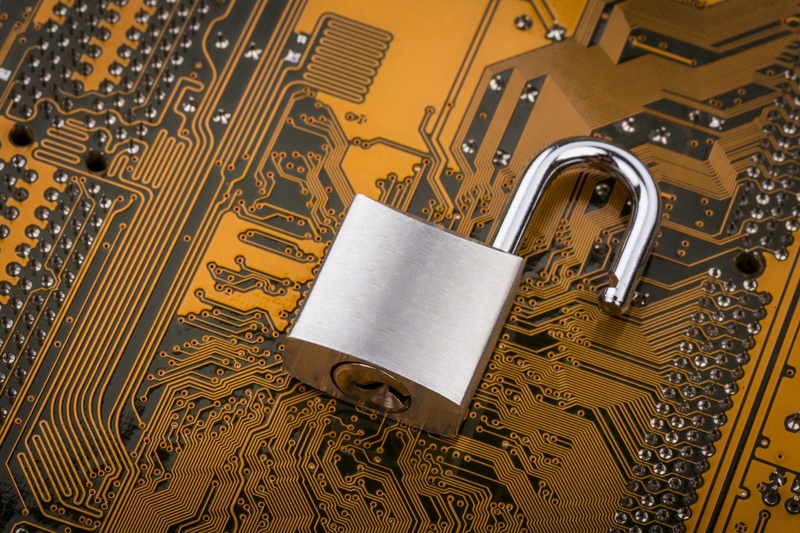 Solely investing in a robust perimeter and securing connected devices does not mean your company is hacker-proof. “Because attackers may circumvent preventative controls, detection and response capabilities are becoming increasingly critical”, say Gartner in their 2016 Planning Guide for Security and Risk Management. 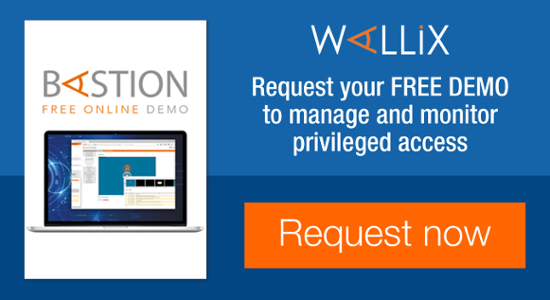 Securing and monitoring access to privileged accounts becomes a line of major defence for all companies, to limit the impact of such intrusions and identify unusual or malicious actions. 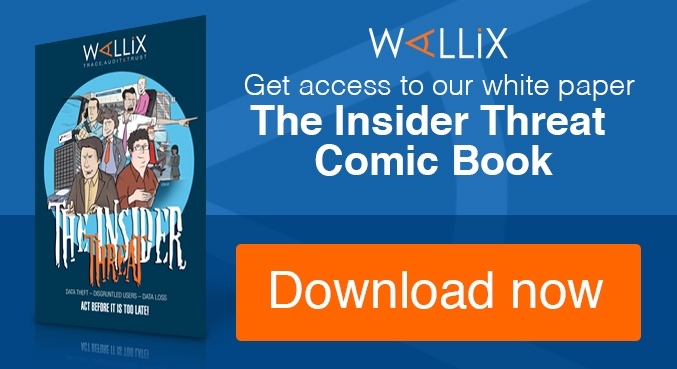 WALLIX’s WAB Suite is designed to cover all of the risks associated with access privileges in the shortest time possible, often days, making it an essential tool for compliance and your company’s data safety. High profile security breaches like those experienced by Sony, eBay or Target for example, have seen companies work very hard to regain the trust of their customers, and this loss of confidence can cause massive falls in performance, e.g. Target reporting a 46% drop in profits in their fourth quarter. The losses are both direct and indirect, and aside from immediate economic impact, regulatory fines, the damage to a brand’s image and reputation, downtime and lost productivity can be costly side effects of cyber-crime. TalkTalk, the UK Telecom group, lost 101,000 customers and £60m(€80m) in revenue as a result of a cyber attack last October. Customers were left furious at their response to the breach and their seemingly lax security systems, and the company suffered unmeasurable bad publicity. They’re recovering, and although the financial impact would be lesser in the case of a smaller business, it could still make a significant dent on your bottom line. Lost business opportunities and customers, costs of downtime and professional services you’ll have to hire to mitigate the security breach such as IT security consultants, auditors, risk management consultants, accountants, lawyers and PR consultants, etc. – it all adds up, and smaller businesses can lose around £40,000 (€50,000) in total, with larger businesses obviously facing more distressing figures. You need to protect yourself and your business, before too little becomes too late. You can’t plug every security hole, but you can at least obtain an all-seeing view of what’s happening at all times. Our WAB Suite provides complete compliance for specific industry regulations and lets you control, oversee, monitor and record administrator sessions across multiple core systems, so you always know who’s looking at and doing what. You can filter out a number of commands and establish a ‘black-list’ of prohibited character strings that may be specific to an account or user, as well as set up alert emails and ensure that suspicious sessions are automatically disconnected. You can even save the contents of sessions for auditing and reporting purposes. It’s not just our opinion, SC Magazine gave our WAB Suite a 5-star rating and labeled it Best Buy. Don't wait anymore and click below.